GymRatZ Commercial Gym Equipment is designed for professional use in health clubs, fitness centres, and the very toughest of gyms. The equipments ability to withstand constant daily use is second to none - we wouldn't put our name to anything else! Heavy duty Iso Chest Press Machine solidly construction from heavy gauge steel with well cushioned upholstery. 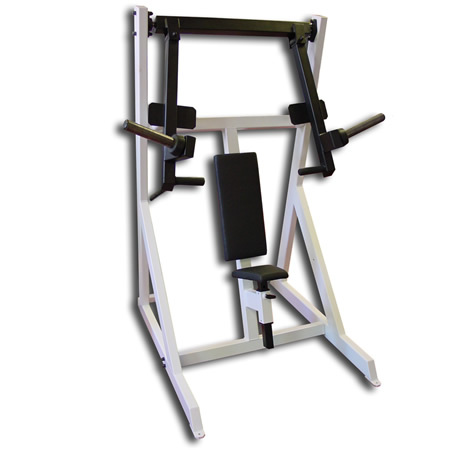 The Iso Chest Press Machine is ideal for safe, heavy gym training. 20% OFF COMMERCIAL MATTING when ordered with this product. Dimensions (mm): 1200 L; 1100 W; 1800 H.
Return to Iso Stations by GymRatZ - SALE!